Great-looking landscapes don’t have to be a lot of hard work. If you pick the right plants, you can enjoy a yard that’s filled with color from spring to fall — without having to spend every weekend tending it. We’ve pulled together a group of plants that are among the easiest to grow in the Northeast. Use these old-fashioned favorites in your garden to create the best-looking yard in your neighborhood. Beloved for handsome foliage and dense, colorful plumes of flowers, astilbe blooms in shades of pink, red, white, and lavender in early summer. Many selections have bronzy foliage, too. ‘Fanal’, a selection with dark red flowers, is a favorite here at the Better Homes and Gardens Test Garden. Grow it with: Shade-loving hostas for a great contrast in texture and color. This versatile, sun-loving perennial blooms through the summer in blue, purple, pink, or white spikes. ‘Royal Candles’, a dark blue-flowering form, is one of our favorites. Grow it with: Shrub roses. These plants pair beautifully for classic cottage-garden charm. Perfect plants for any bed or border, ornamental grasses offer four-season interest. 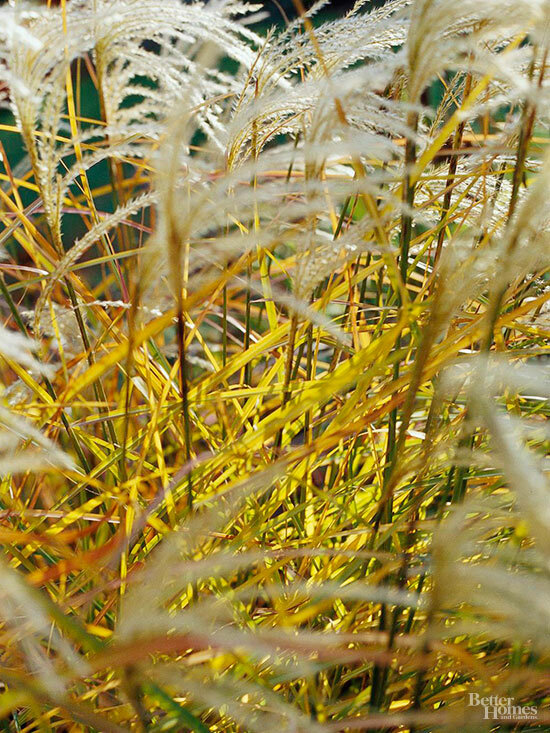 Miscanthus (sometimes called maiden grass) is among the easiest to grow. 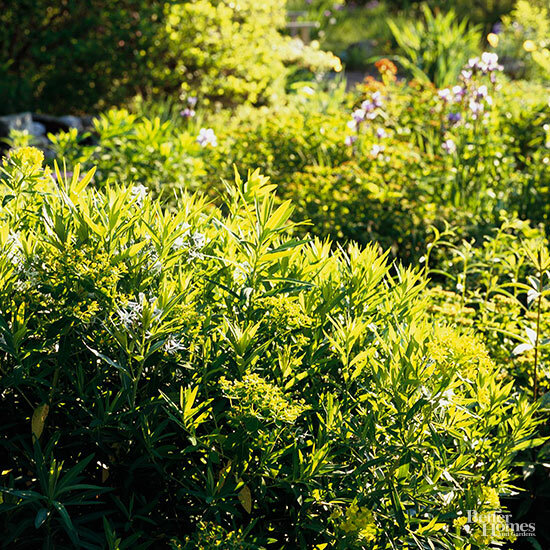 We love the types that have silver-variegated foliage — it creates a more delicate appearance in the landscape. Grow it with: Purple-leaf ninebark (another four-season plant) for a stunning contrast in shapes, colors, and textures all year long. 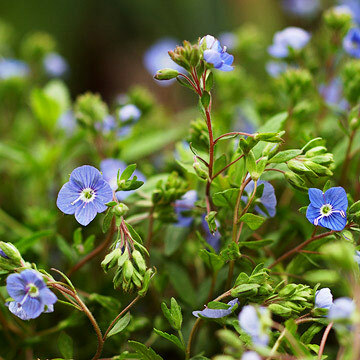 This extra-easy growing perennial takes heat and drought well, isn’t bothered by deer or rabbits, and offers beautiful blue flowers in spring. It offers an extra bonus: The foliage turns golden yellow before dropping in fall. Grow it with: Peonies, which bloom shortly after amsonia to extend the bloom season. Plus, both feature fabulous fall foliage. 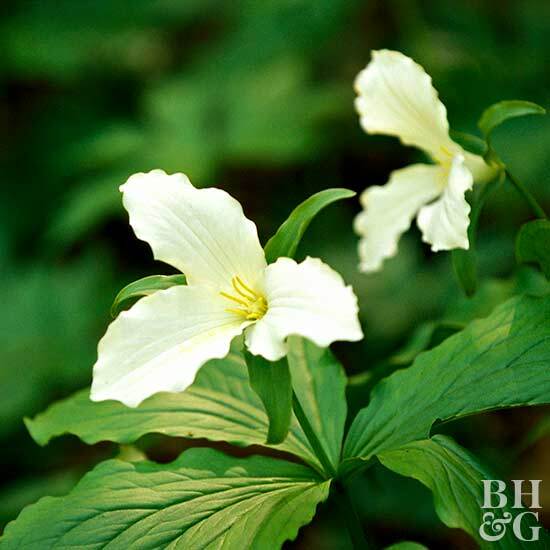 Native to woodland areas of the region, trilliums love the shade and offer beautiful blooms in shades of white, yellow, or maroon. Some have variegated foliage for extra interest. Note: Trilliums tend to go dormant in midsummer. Grow it with: Ground covers such as lamium. That way you won’t be left with empty gaps in your garden when the trilliums go dormant. This slowly spreading plant is a hummingbird magnet; it produces spikes of bright red, pink, or white flowers in late spring and early summer. 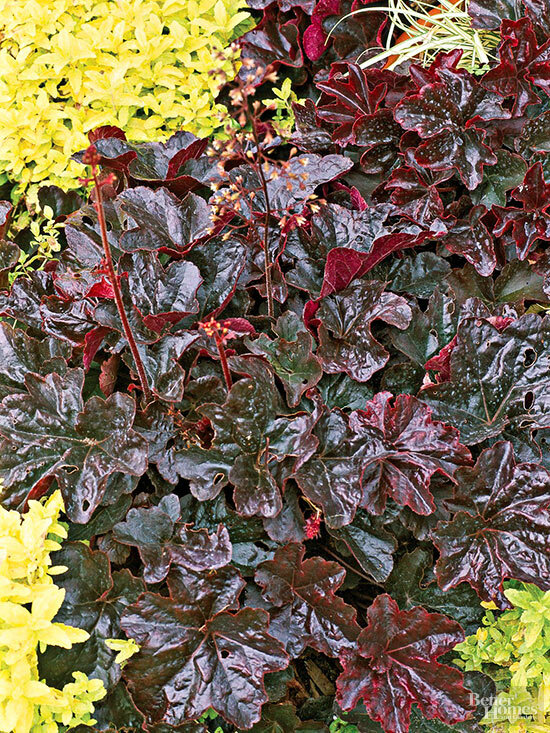 Many varieties have fantastic foliage overlaid in shades of silver, burgundy, bronze, plum, and gold, too. 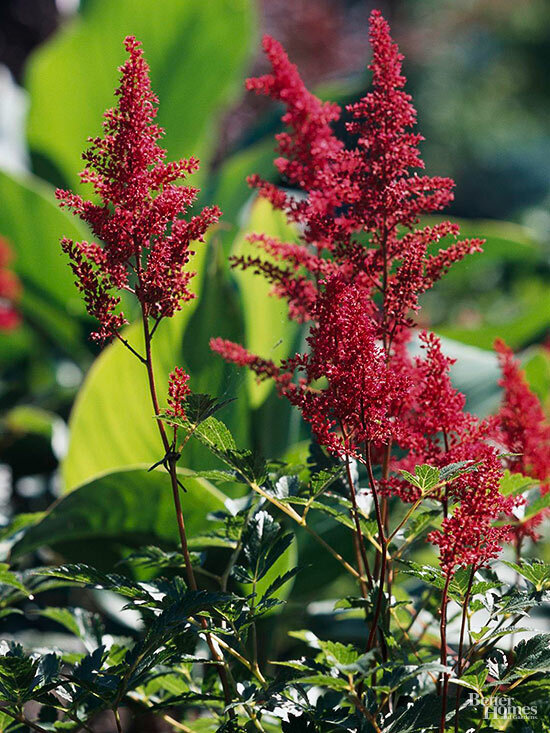 Grow it with: Astilbe, which features feathery blooms that complement coral bells’ blooms and contrast with their mounding habit. 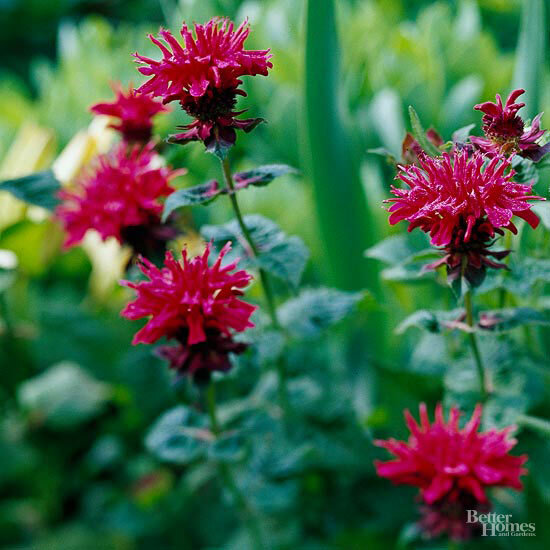 Bee balm is a beautiful regional wildflower that’s adored by hummingbirds and butterflies. Enjoy this perennial’s flamboyant clusters of red, pink, violet, or white flowers throughout the summer. Because bee balm offers mint-scented foliage, many pests pass it by. Grow it with: White liatris for a beautiful contrast in color and texture (as well as a surefire way to attract butterflies). This relatively unknown plant deserves a lot more attention. 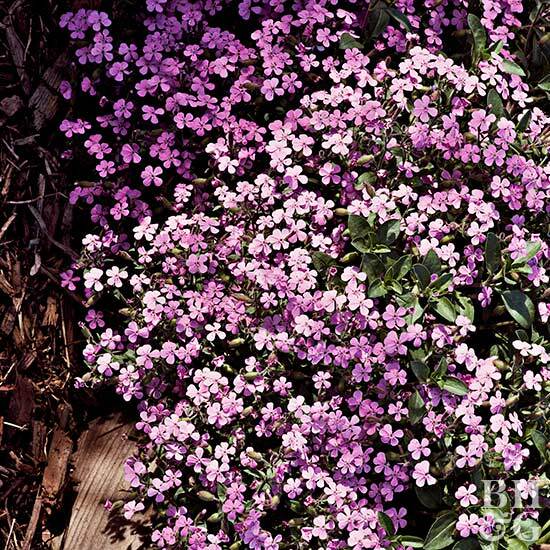 It’s a cinch to grow and features clusters of phlox-like pink, purple, or white flowers in summer and fall. Grow it with: Yarrow; both are low-care, sun-loving perennials that make great cut flowers and have long bloom seasons. 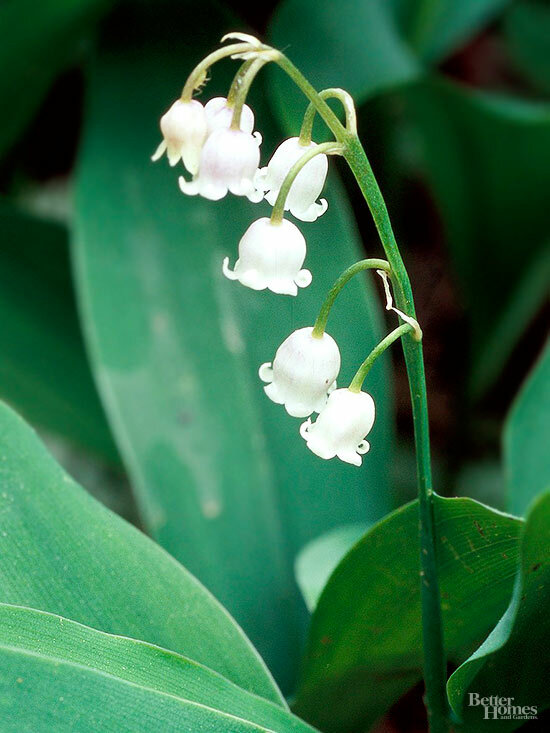 This sweet little ground cover offers delicate, bell-shaped flowers that feature a sweet scent. The deep green leaves create interest through the rest of the season. Grow it with: Japanese painted fern, a slow-spreading fern that creates season-long interest thanks to its silver- and burgundy-touched fronds. 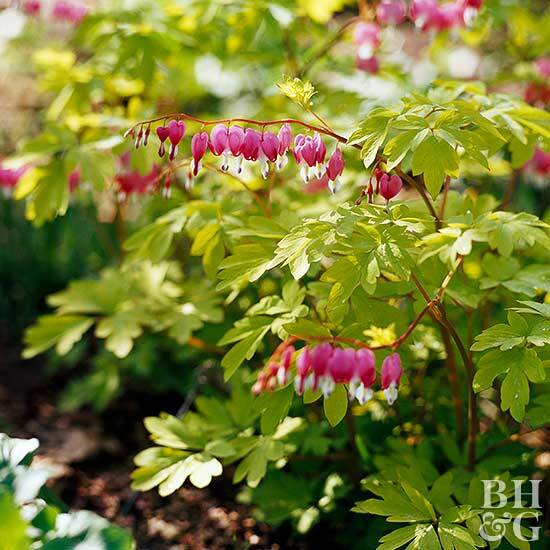 This long-lived perennial offers beautiful, arching spikes of pink, heart-shape flowers in spring. The soft-textured foliage is gorgeous, too. Note: Like trillium, it does tend to go dormant in midsummer. Grow it with: Yellow corydalis, a cute perennial with ferny foliage that blooms spring to fall.